I did get some great pictures with the big 300 f2.8 lens, but it was old and the mountings were worn which allowed some movement between the lens and camera. In general it was disappointing. Even if I could afford the coveted 500 f4, I wouldn’t be able to carry it on the long treks I planned in Scotland. There was, however, a lens which was smaller and lighter and highly praised, the 400 f4 DO IS II USM. It uses a technique called diffractive optics to reduce the size and weight without loss of quality. Canon don’t make many of them and they are expensive. To cut a long story short, I found a good one on offer for a good price – £5000 – did some more juggling with capital, prayed that ERNIE at the Premium Bonds centre would come good and bought it. The 300 f2.8 was sold to Carmarthen Cameras at the kind of loss I can live with – the price of learning. As an alternative to Ebay, MPB provide an excellent service. You can usually buy for less and sell for more on Ebay, but it’s a lot of hassle and you take a chance on quality. 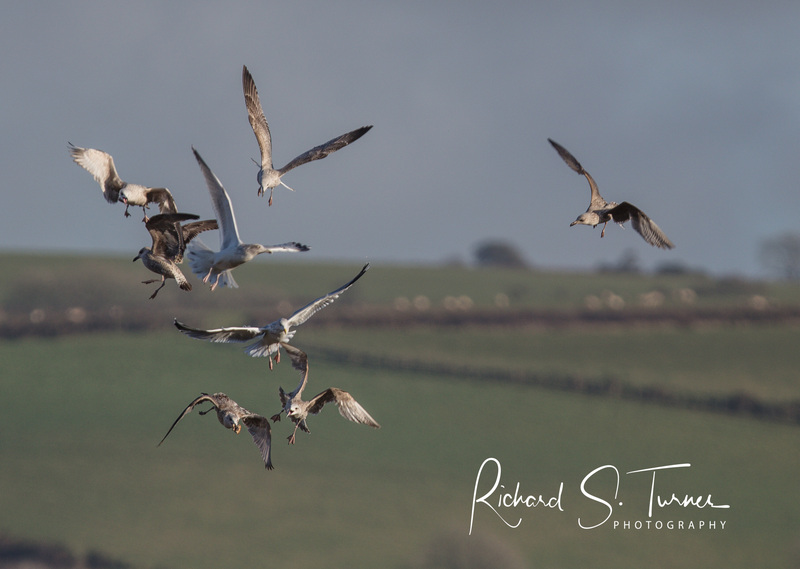 The 50 megapixel full frame 5DS is an amazing bit of kit, but it is not designed for wildlife photography. Most of the time I am using the Medium RAW file size at 30 mpx. If, on 1 April the fools day is on National Savings, and my 5k Premium Bonds give me the big win which, frankly, I am expecting, then I will go for the ultimate 5D mk4, which has the perfect combination: full frame, 30mpx, same autofocus as the 5DS but 7 frames per second burst speed instead of 5. With the start of my trip less than 3 weeks away, I have a photo- update I am happy with. As for the Premium Bonds – nothing! I blame it on ERNIE. Remember him? He’s nearly as old as I am and for a computer that is very old indeed. He just forgets things and makes mistakes. So, I’ve sold my lovely 100-400 lens and decided for the time being to keep the megapixel monster the 5DS. Now that my main lens is the 400 f4 DO IS mk 2 I am getting into the world of extenders aka tele-converters. To be able to use autofocus with the x2 extender I need the newer 80D. It also has more megapixels and better autofocus. One is on its way from Ireland via China. It’s a “Grey Import” but cheaper than most of the second hand ones. Just before I set off for Scotland in May, my Tamron all-purpose lens started playing up. In case it broke down completely, (and to realise a long standing ambition) I bought the coveted Sigma 105 f2.8 macro, ostensibly to fill part of the gap left by the 100-400 lens I sold. Looking through a new lens for the first time is always a thrill, but with this lens the thrill goes on: every time I use it I marvel at the clarity of it, both as a close-up lens and for landscapes, portraits and everything else that benefits from that degree of magnification. When I got back I sent the Tamron 16-300 to their repair department and got it back a couple of weeks later restored to full function for £95. The results at 300 are not brilliant, but at the wide-angle end it is almost as good as my 16-35 f2.8 Canon, and it does a very good job from 35 to 200. 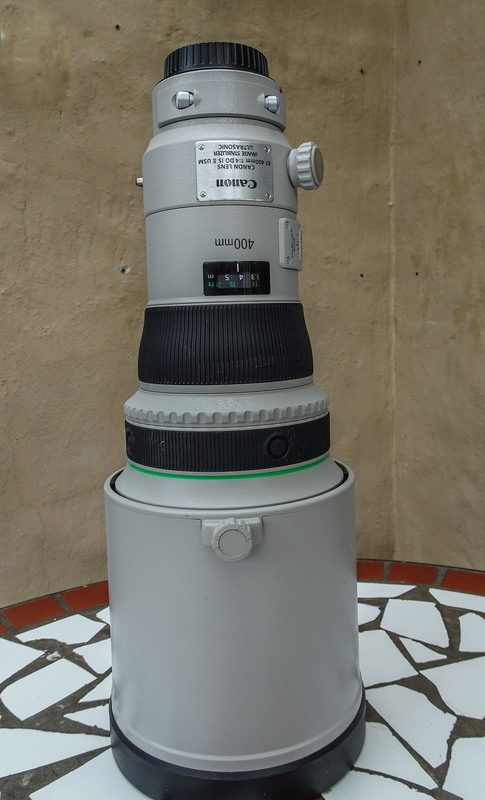 So, I have four lenses and two extenders* each excellent in their own way, but to get pin-sharp pictures from the whole range 16 to 800mm I have to change lenses. This is quite a problem. I lost a few great opportunities on the Isle of Eigg because I had the wrong lens on the camera. Tamron have now brought out an even better all-purpose lens – their 18-400mm. For a small loss of width at the bottom end I may be able to catch those special moments at the top end. It’s highly unlikely that 400mm on the Tamron will be nearly as good as on the 400 prime, but it might well be good at 300mm. This could be my next, and possibly last (?) lens change. *Canon 400 f4 DO mk3, Canon 16-35 f2.8, Tamron 16-300 f3.5 – 6.3, Sigma 105 f2.8, Canon 1.4x mk3 extender, and Canon 2x mk3 extender. A few weeks ago I finally got paid for the job I had been doing since last October! I could afford what I hope will be the last change of equipment for the foreseeable future. I now have the Tamron 18- 400 lens. The plan is to carry the big lens in a backpack and this one ready to go on the harness. It offers the full range of shots while walking, and when I find a subject which needs the big lens I can change over within 30 seconds. Watch this space!